Arnica is a graceful woodland plant in the same family as the sunflower, native to Central Europe and the western United States. Arnica montana L. or A. chamissonis, leopard's bane and mountain tobacco. There are many medicinally viable species of arnica flowers found around the globe, some of which are found in North American mountain ranges and woodlands. Arnica montana is native to Europe, with a natural range stretching from the southern Iberian Peninsula to Scandinavia. The plant has large flower heads with brilliant yellow coloration. Flowers begin to appear during mid-summer and continue blooming well into autumn. For best results, they should be harvested early in the blooming season. The dried flowers are fluffy and fibrous, and can be irritating to the nose if handled improperly. Arnica contains sesquiterpene lactones of the helenanolid type, predominantly ester derivatives of helenalin and 11,13-dihydrohelenalin. Additionally, Arnica contains flavonoids (e.g., isoquercitrin, luteolin-7-glucoside, and astragalin), volatile oil (with thymol and its derivatives), phenol carbonic acid (chlorogenic acid, cynarin, caffeic acid), and coumarins (umbelliferone, scopoletin). Support the nervous system's response to minor pain with Arnica liquid herb extract from Herb Pharm. We prepare our Arnica Extract from the whole flowers of Arnica montana plants which are Certified Organically Grown and/or Sustainably Wildcrafted in their native, high mountain habitat. To assure optimal extraction of Arnica's bioactive compounds, the plants are hand-harvested when in full flower, are carefully shade-dried to retain the full color and aroma, and are then thoroughly extracted. Do not use on broken or abraded skin. Discontinue use if irritation appears on skin or in mouth, throat or stomach. Prolonged topical use or use on broken skin may cause skin irritation. Arnica is a graceful woodland plant in the same family as the sunflower, native to Central Europe and the western United States. Arnica montana L. or A. chamissonis, leopard?s bane and mountain tobacco. There are many medicinally viable species of arnica flowers found around the globe, some of which are found in North American mountain ranges and woodlands. 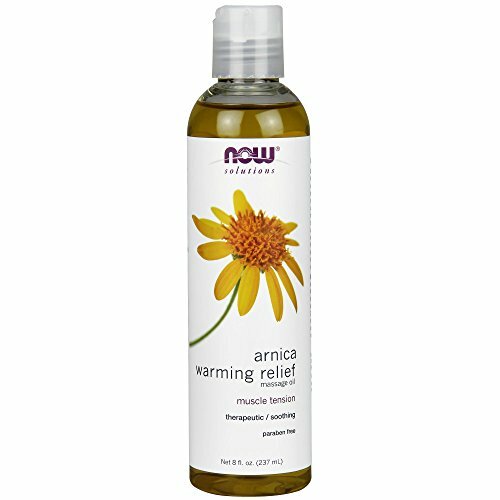 Arnica montana is native to Europe, with a natural range stretching from the southern Iberian Peninsula to Scandinavia. The plant has large flower heads with brilliant yellow coloration. Flowers begin to appear during mid-summer and continue blooming well into autumn. For best results, they should be harvested early in the blooming season. The dried flowers are fluffy and fibrous, and can be irritating to the nose if handled improperly. Arnica contains sesquiterpene lactones of the helenanolid type, predominantly ester derivatives of helenalin and 11,13-dihydrohelenalin. Additionally, Arnica contains flavonoids (e.g., isoquercitrin, luteolin-7-glucoside, and astragalin), volatile oil (with thymol and its derivatives), phenol carbonic acid (chlorogenic acid, cynarin, caffeic acid), and coumarins (umbelliferone, scopoletin). 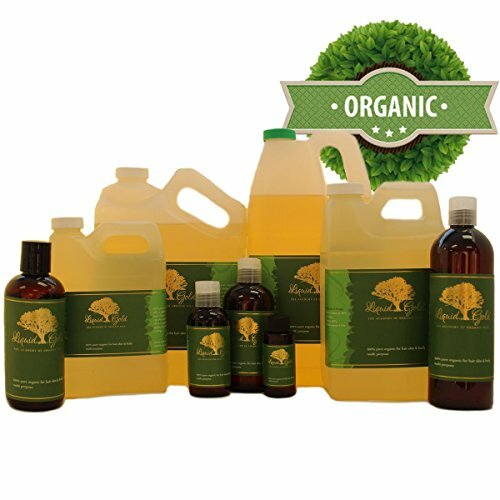 All our oils are fresh and bottled daily. Expiration date is at least 12 month from sale date Organic Ingredients:100% Pure Arnica Herbal Oil Botanical Name: Arnica Montana Extraction Method: infused in Olive oil refined Color: Slight Yellow Aromatic Description: Arnica Herbal Oil has very little scent characteristic of most carrier oils Benefits The infused arnica oil is beneficial for muscle aches or injured muscles, sprains, bruises, dislocations, swelling due to fractures, trama to soft tissue, rheumatic pain, and inflammation from insect bites. It makes an excellent massage oil for sport injuries and sore muscles, as it helps to reduce bruising and relaxes tense muscles. Arnica cream is great to keep in a plant based medicine chest. 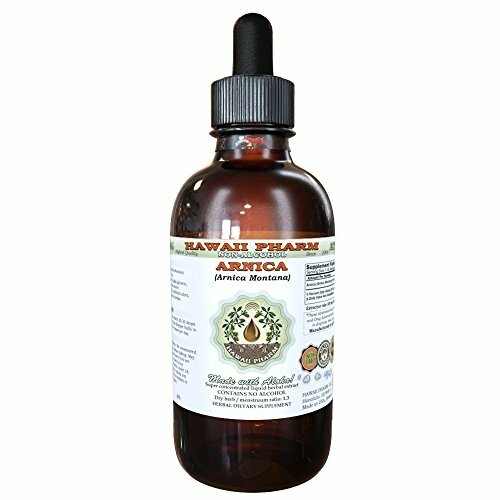 Arnica Oil, Arnica montana, has a long history of use in inflammatory, and damaged, skin conditions where the healing is improved through increased circulation, and anti-bacterial activity. Arnica is even used in herbal treatments for dandruff. Arnica is a graceful woodland plant in the same family as the sunflower, native to Central Europe and the western United States. Its yellow flowers are collected art summer's end and dried for medicinal use. 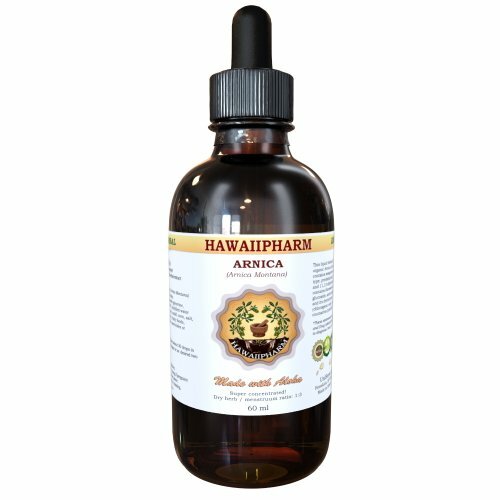 Arnica No Chinese Ingredients 1 oz LiquidSuggested Use As a dietary supplement Oral 3-8 drops diluted in a cup of water only under the direction of your health care professional. - Or as directed by your healthcare professional.Directions Apply externally as needed.Other Ingredients: Selectively imported Arnica Montana Flowers in a base of grain alcohol (55-65% by volume) and deionized water.Warnings: Keep out of reach of children. As with all dietary supplements, consult your healthcare professional before use. See product label for more information. 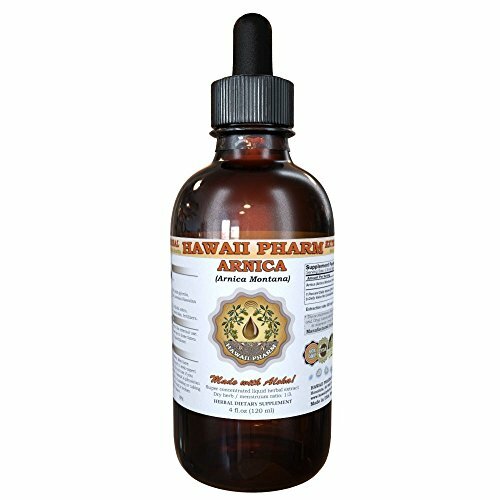 Looking for more Arnica Liquid similar ideas? Try to explore these searches: Unscented Goats, Thong One Piece Bathing Suits, and Self Stick Pop. Look at latest related video about Arnica Liquid. Shopwizion.com is the smartest way for online shopping: compare prices of leading online shops for best deals around the web. 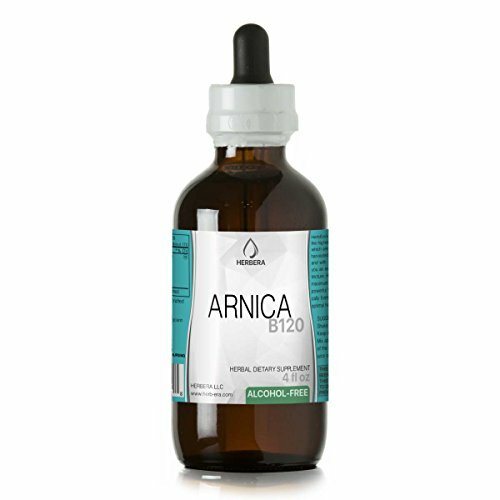 Don't miss TOP Arnica Liquid deals, updated daily.